When will NFC really take off? NFC stands for Near Field Communication and it allows short-range wireless communications. There are a lot of potential applications for NFC which we’ll delve into in a minute, but they all revolve around close proximity data exchange between devices, or between an unpowered NFC chip (usually called a tag) and a smartphone. If you’re interested in the technical details then read our guide on how NFC works. Analysts have been predicting the rise of NFC for a while now, but expectations vary wildly. The main driver that’s widely touted is mobile payments, but the number of NFC-enabled devices in circulation is still relatively small, Forrester estimates around 100 million NFC devices will ship in 2012. ABI Research puts the value of NFC mobile payments at $4 billion for 2012, but predicts they’ll be worth $191 billion in 2017. That’s quite a jump. We are certainly starting to see more NFC-enabled devices hitting the market and Google is betting big on the technology. The Android platform now supports NFC and it powers the Android Beam feature for exchanging data between devices, as well as Google Wallet for mobile payments. Microsoft’s Windows Phone and RIM’s BlackBerry platform are also adopting NFC functionality which leaves Apple’s iOS as the odd one out. What are the potential uses of NFC? Mobile payments are the most talked about use for NFC. The basic idea is that you can pay for goods or services by simply tapping your phone near a payment terminal. You have the option to PIN protect transactions for greater security. NFC is capable of a lot more than contactless payment. With NFC tags, such as Samsung’s TecTiles, you can actually program an unpowered NFC tag and then tap your phone near it to spark an action. You could stick an NFC tag on your nightstand that sends your phone into silent mode. You could create an NFC tag that directs your phone’s browser to a specific web page or a location in Google Maps. You could set up a profile for your car’s dashboard which prepares your smartphone for a journey by tweaking volume, switching off Wi-Fi and loading up Google Maps. The possibilities are endless. Advertising is inevitably another big potential area for NFC. Rock the Vote has launched a campaign that includes NFC tags in bus shelters which allow smartphone users to tap their devices to immediately register to vote. NFC can be used on advertising posters and other materials in much the same way as QR codes have been, except that NFC is easier for the user and capable of more. Ads and promotional literature could include NFC tags that spark further information, launch video or audio files, provide the user with coupons or tickets, or automatically register a social media connection, such as a Facebook like. The technology could also be very handy for business and networking. Business cards could include website links, LinkedIn profiles, and full contact details that are automatically added to your smartphone. Invitations and mail outs could include directions. Boxes in factories could be identified with NFC tags. Even goods in virtual stores could be ordered via NFC with your smartphone and delivered from a depot. If you can use your smartphone as a payment method, then paying for things like public transport and parking meters could be as simple as swiping your phone. You could even tap a newspaper terminal on your daily commute to download the latest issue to your device. NFC could enable you to use your smartphone as a ticket or a key. It could be the conduit for a digital ID. There really are a lot of potential uses. There’s a bit of a chicken and egg scenario going on at the moment. Some companies are reticent to splash out on NFC before there’s a good-sized user base and consumers aren’t seeing enough possibilities for it at the moment to make it a must-have feature worth upgrading for. There’s also no central standard – everyone is competing with different NFC systems. The market for mobile payments is only just developing and there are lots of services right now. Google got in early with Google Wallet. Isis launched last week and it’s owned and operated by the big carriers, AT&T, T-Mobile and Verizon Wireless. There’s also a PayPass service being offered by Mastercard and Visa has its own NFC payment service. There are others looking to gain an early foothold. Set against them in the mobile payment arena we’ve got a number of banking apps and non-NFC services for tickets and coupons, like Apple’s Passbook app. There are also alternative payment options from companies like Square and PayPal that don’t use NFC technology. Although consumers aren’t buying smartphones specifically for NFC, the technology is still rolling out on a lot of the latest devices. As those numbers grow it will make more sense for companies to take advantage and we’ll see more innovation in terms of NFC applications. 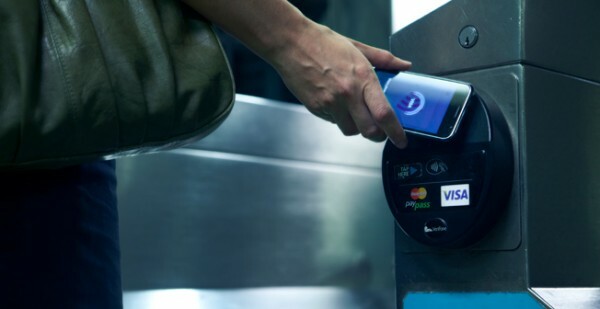 Fears over security could be behind the slow adoption of NFC. Could sensitive information be stolen? Could cyber criminals program NFC tags to direct your smartphone or even hijack it? There’s always a bit of paranoia over new tech developments and until they are thoroughly tested and proven safe some people will remain wary. It is worth remembering, however, that NFC would be toggled on and off when you need to use it – it’s not something you would have on all the time. It does also require close proximity (we’re talking about 4cm or less), it supports encryption, and you can password or PIN-protect NFC transactions. Part of the problem is that we don’t have any reliable statistics for NFC use. Even although there are NFC enabled devices out on the market already we don’t know how people are using the functionality right now. How many people have tried NFC tags for automating tasks? How many people have used NFC for mobile payments? How many people have scanned NFC adverts? More importantly, was that experience good or bad? If you can weigh in, then please do post a comment and tell us about your impressions of NFC so far. It’s surely just a matter of time before NFC really takes off. The question is – will it be months or years?